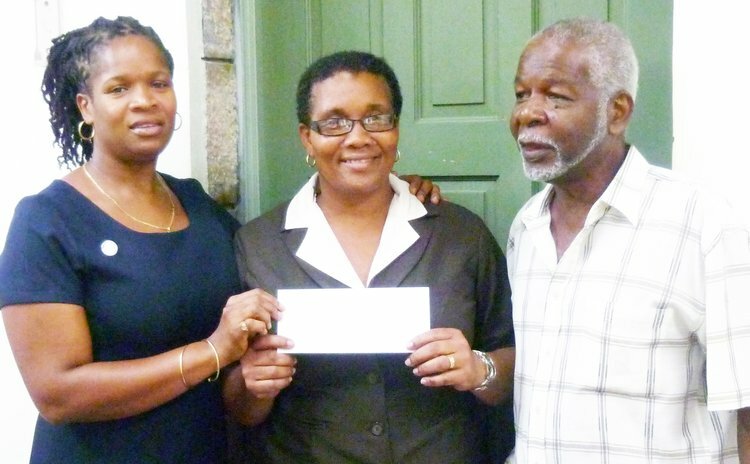 Nationals of the Commonwealth of Dominica residing in the Federation of St Kitts and Nevis donated a cheque of EC$3,250 to the Dominica Education Trust Fund towards the advancement of education in Dominica. The funds were raised through activities organised by the group to commemorate the 35th anniversary of Dominica's independence. The Dominica Education Trust Fund was established to provide financial assistance to students whose families are experiencing significant financial difficulties. Funds are raised through donations from private individuals, clubs, local, regional and international associations and by fund raising activities. The Government of Dominica also provides an annual subvention for students' assistance.